The 2017 YZF-R3 is the easiest way to enter the world of Yamaha R-series superbike performance. 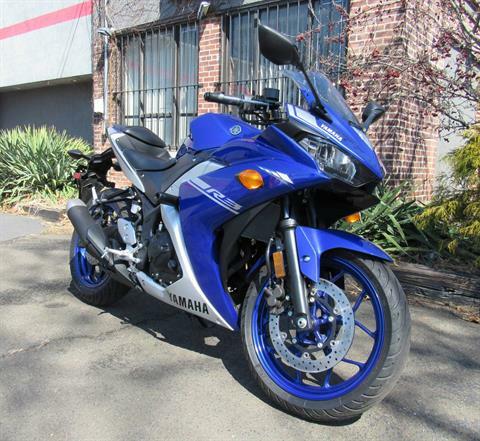 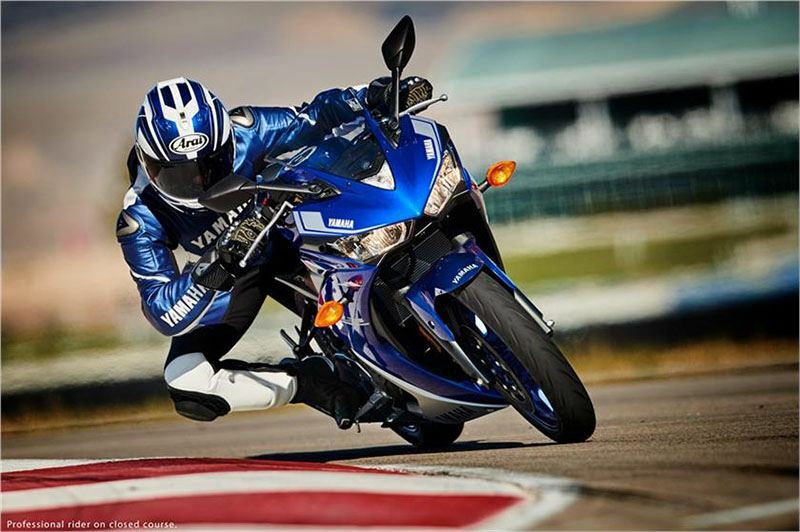 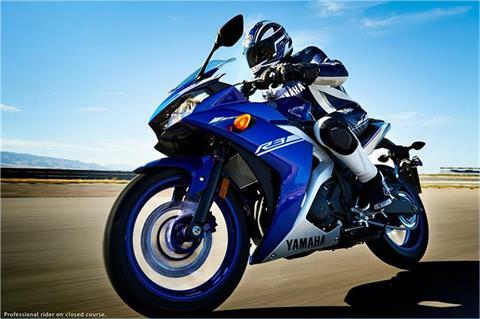 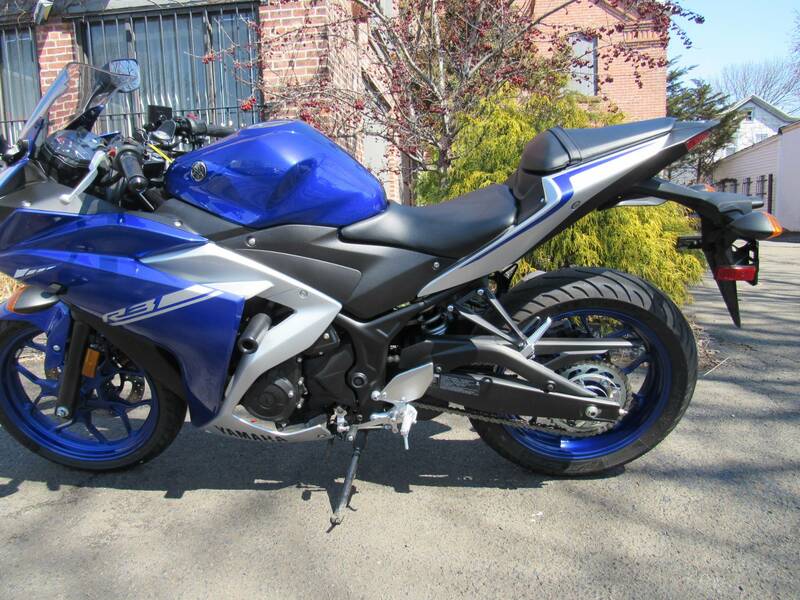 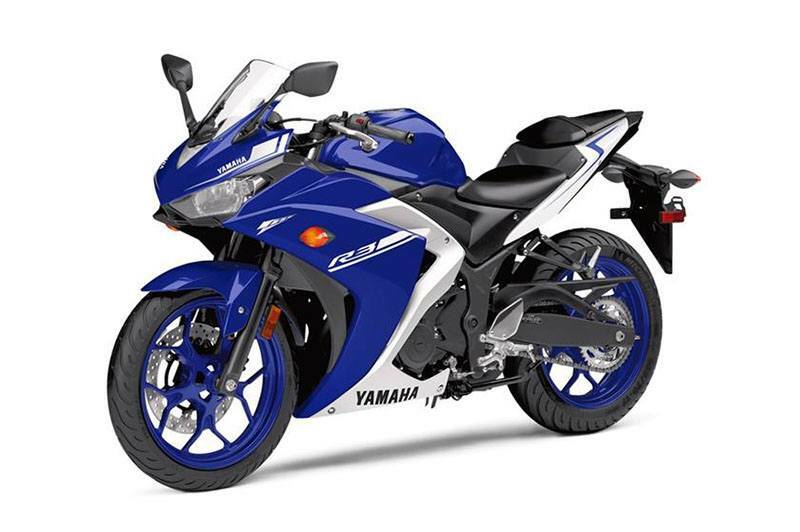 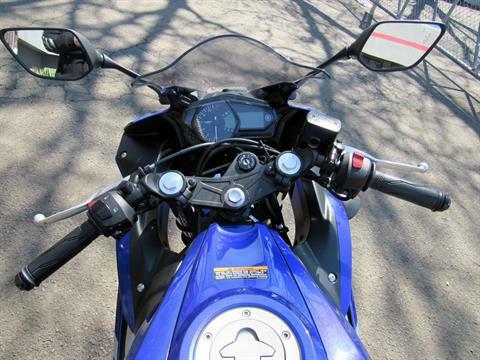 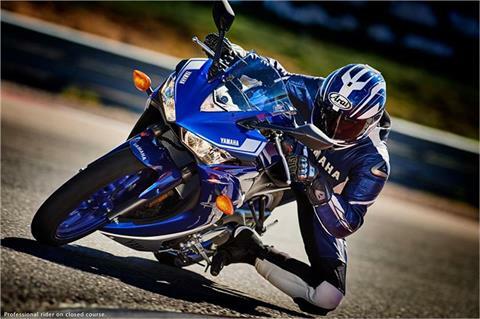 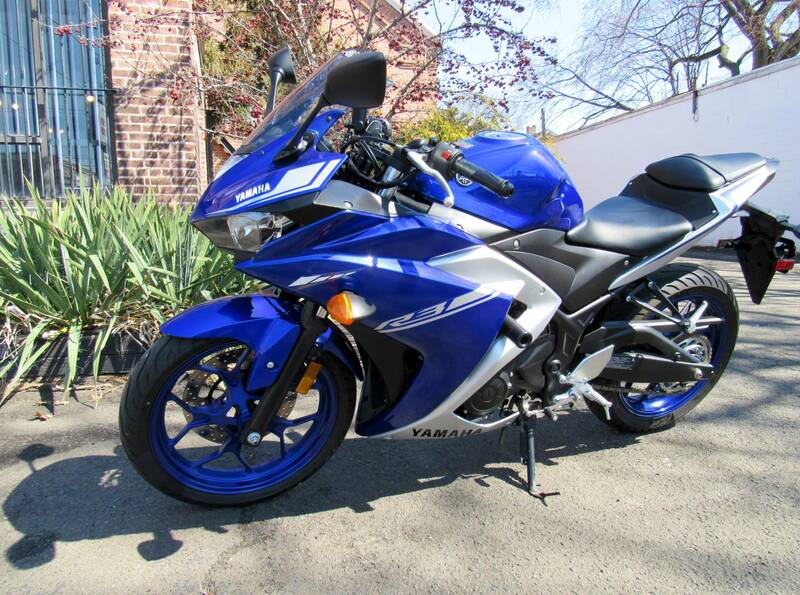 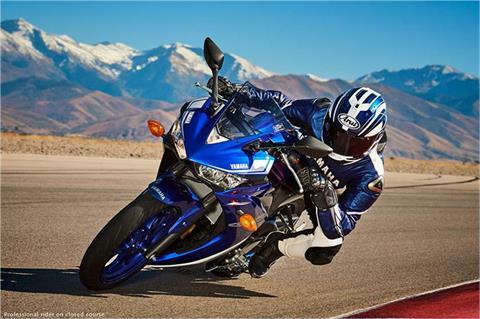 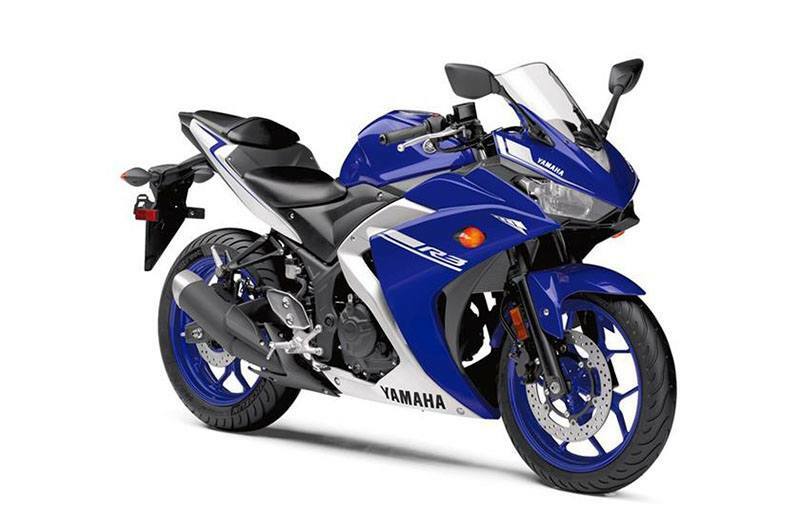 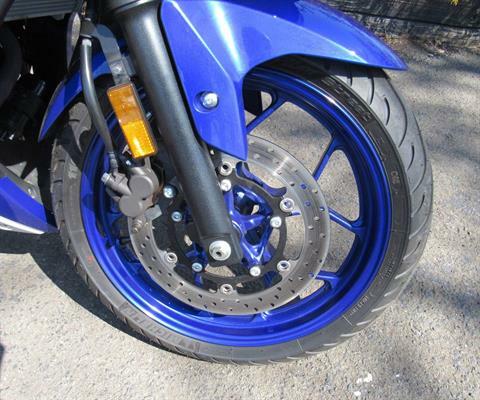 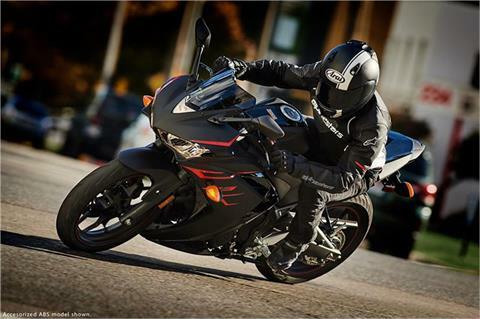 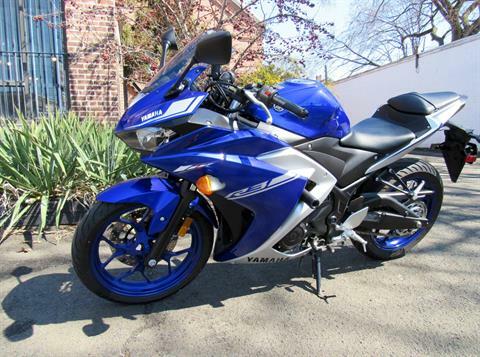 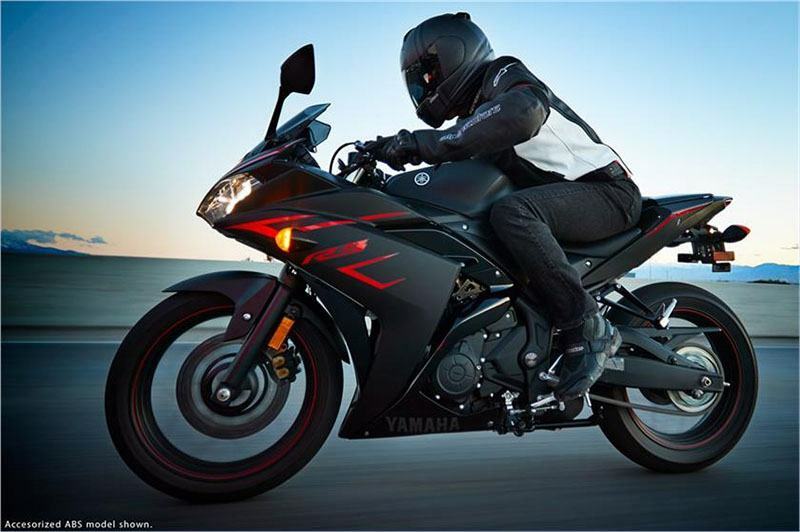 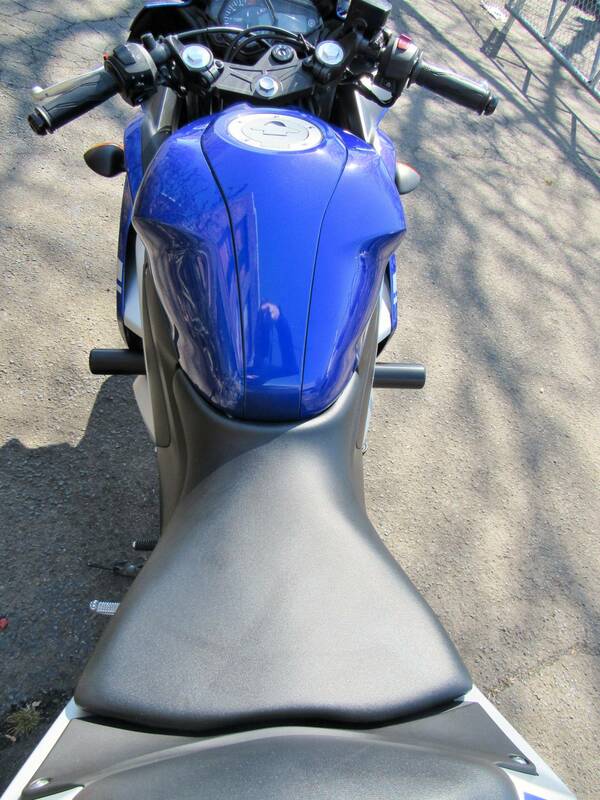 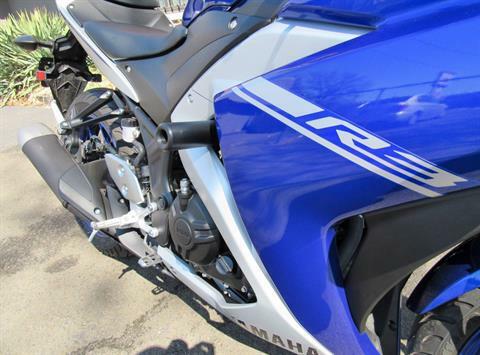 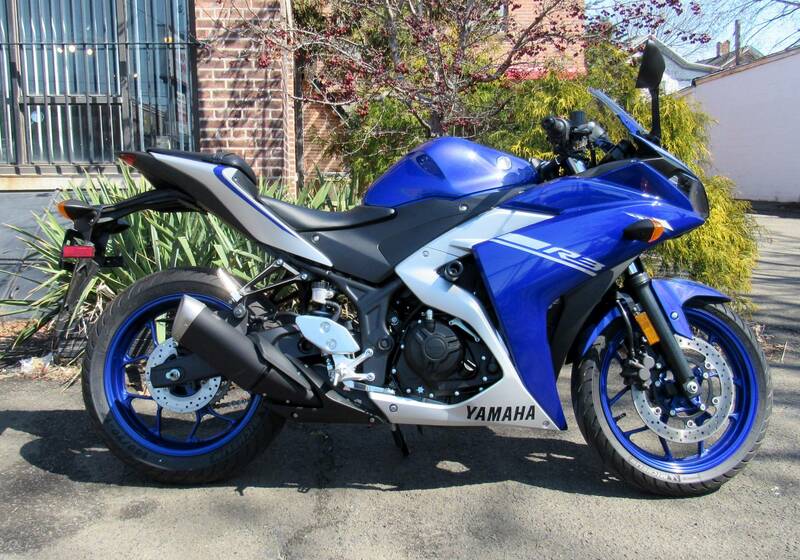 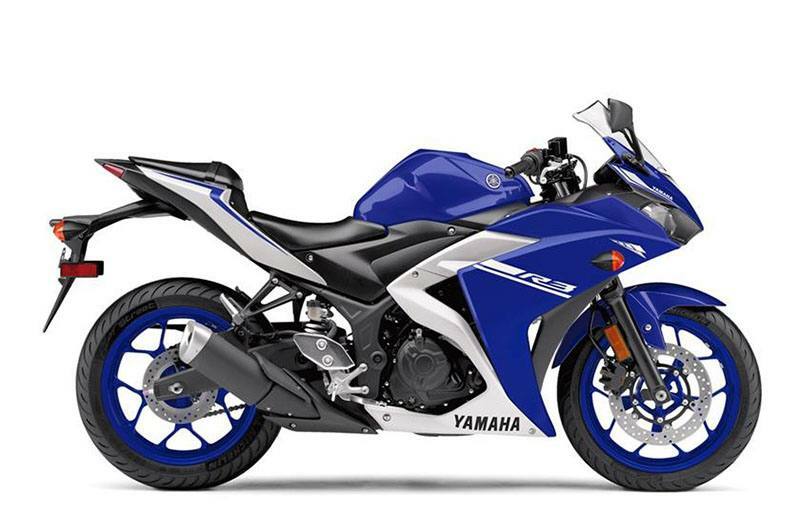 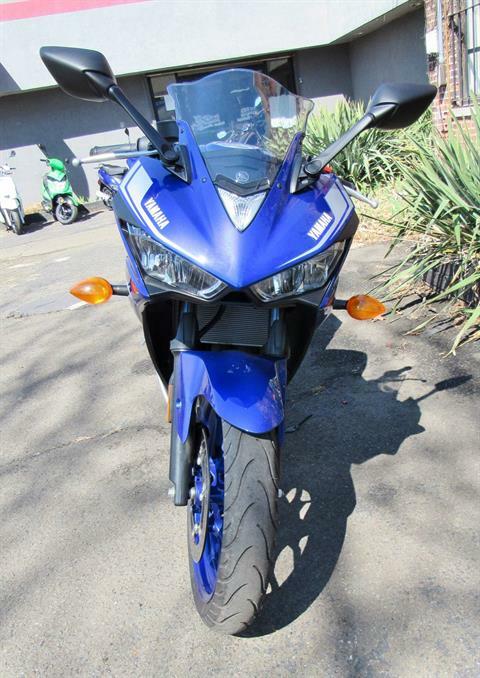 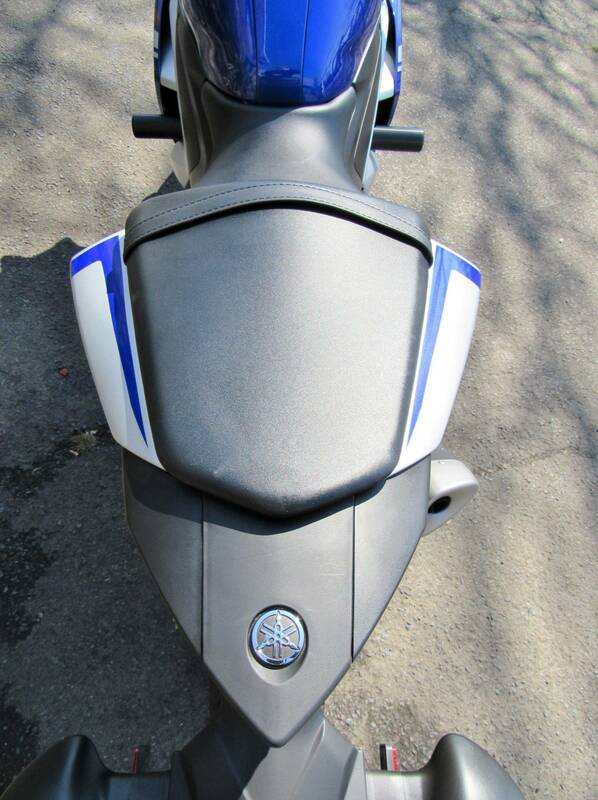 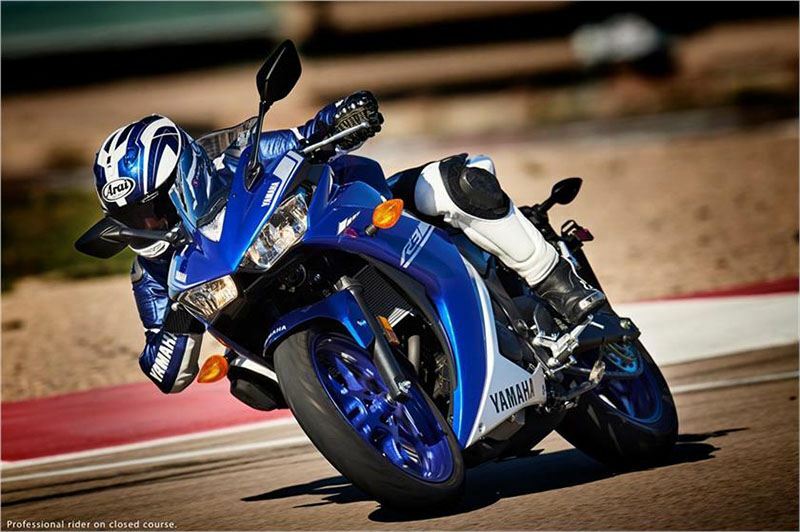 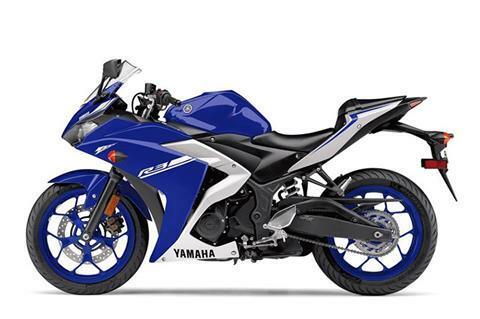 YAMAHA R-SERIES STYLING: Legendary Yamaha R-series styling and performance come standard! 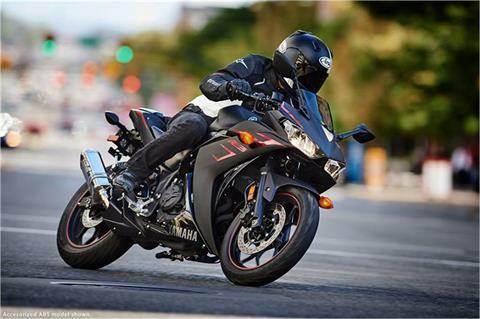 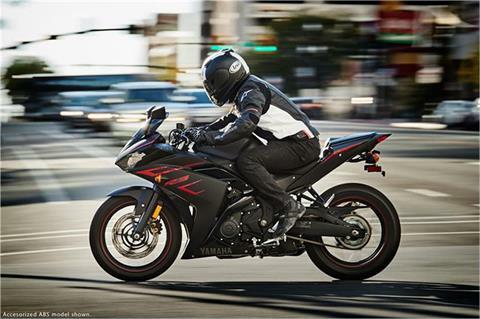 Great styling matched to excellent engine performance and chassis design are the hallmarks of Yamaha’s R-series—and YZF-R3 carries on the heritage with great results. POTENT BRAKING: The 298mm floating mount front disc brake ensures excellent stopping power, while a 220mm floating disc handles the braking performance on the back. 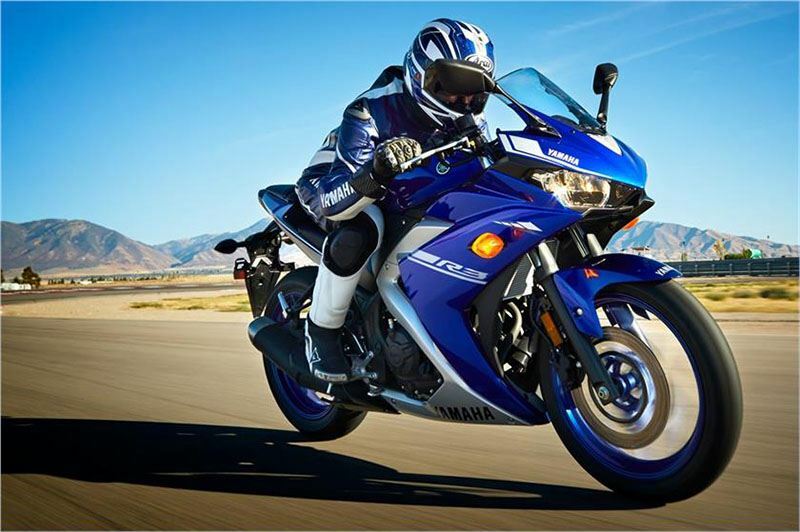 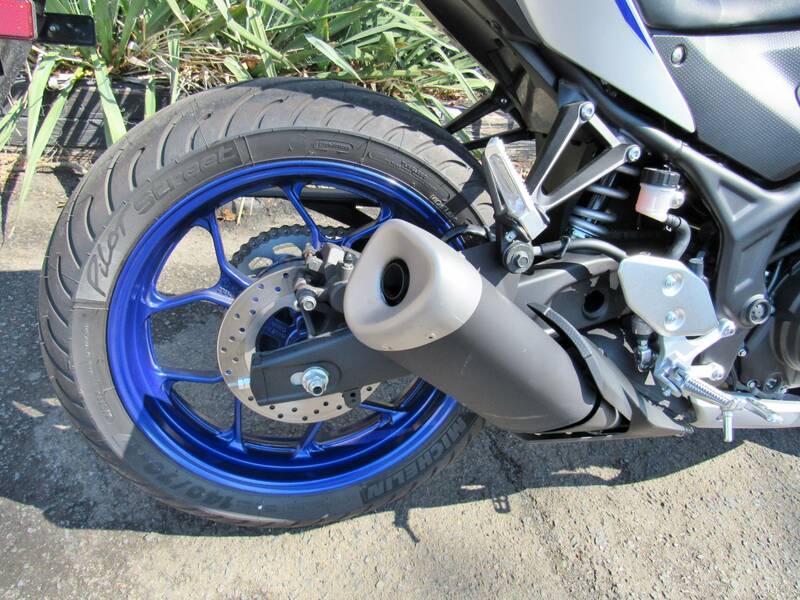 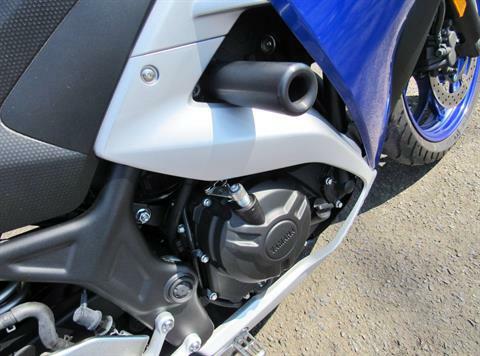 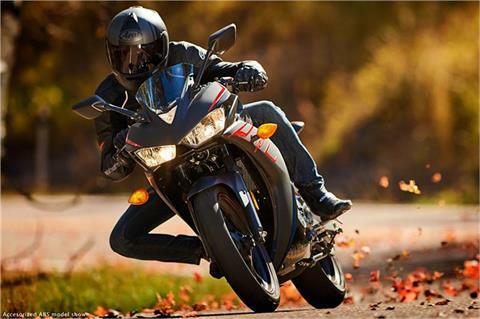 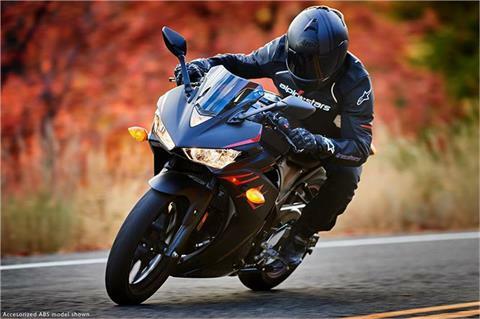 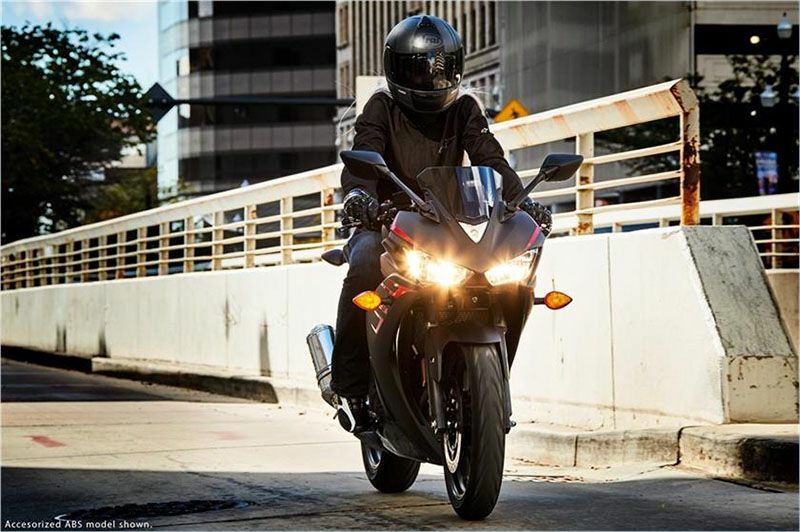 The YZF-R3 ABS model also features an antilock braking system to boost rider confidence and prevent wheel lock-ups in reduced-traction conditions. 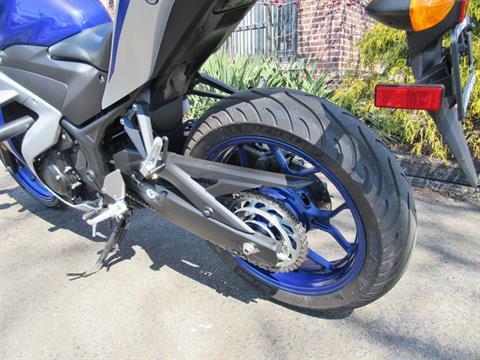 PLUSH, CONTROLLED SUSPENSION: 41mm KYB® front suspension offers 5.1 inches of travel for rider comfort and control, while a preload-adjustable rear shock allows tuning for passenger and cargo. 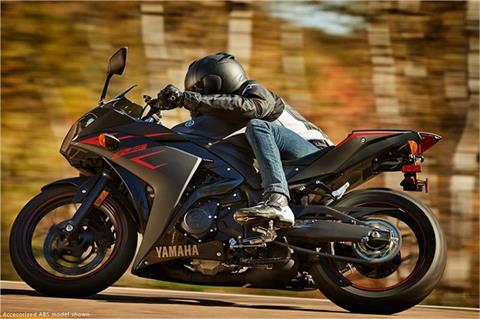 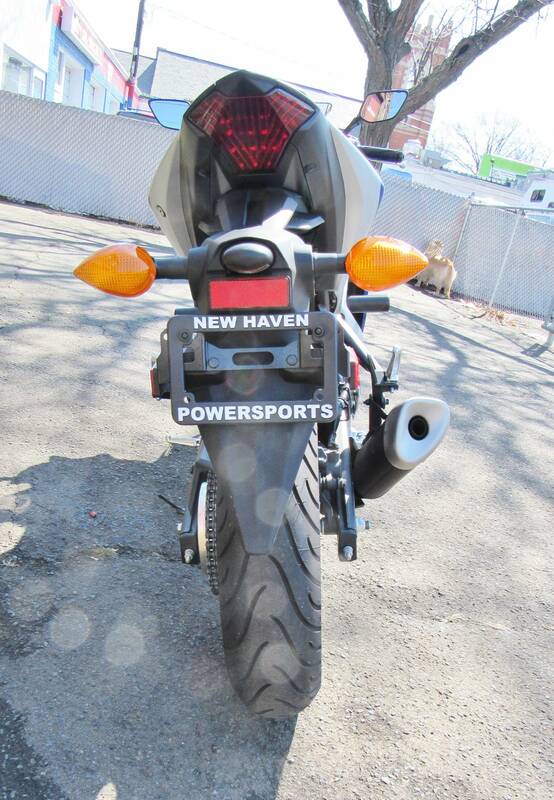 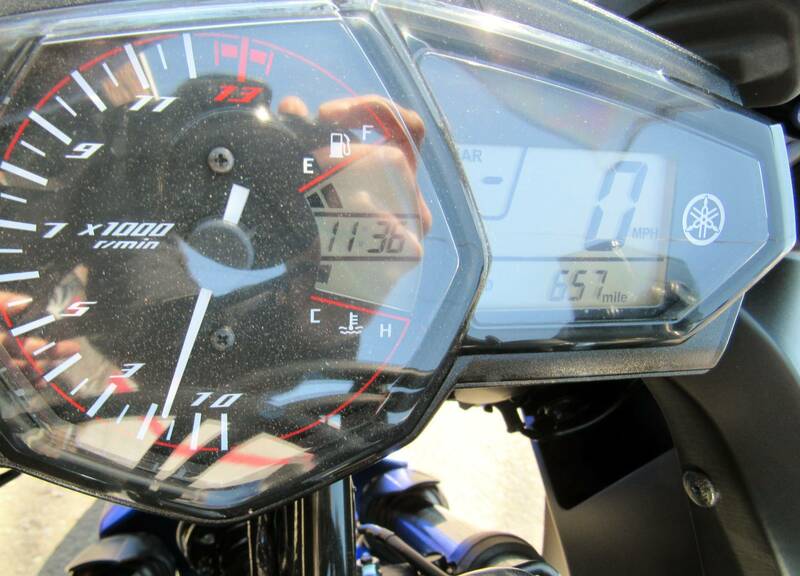 HIGH-REVVING SPORTBIKE HERITAGE: With a compression ratio of 11.2:1, the engine develops maximum power at 10,750 rpm for an exciting ride and broad spread of power. 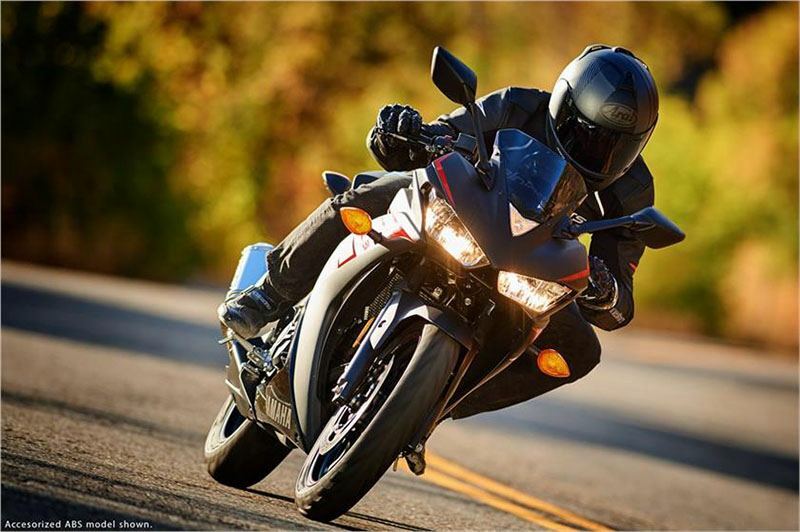 RESPONSIVE ENGINE ARCHITECTURE: With a 180 degree crank design, the engine provides minimized vibrations and a smooth running engine character throughout the rpm range.